I live in Orange County California and right now we are surrounded by tons and tons of wonderful fresh citrus. I just love citrus. 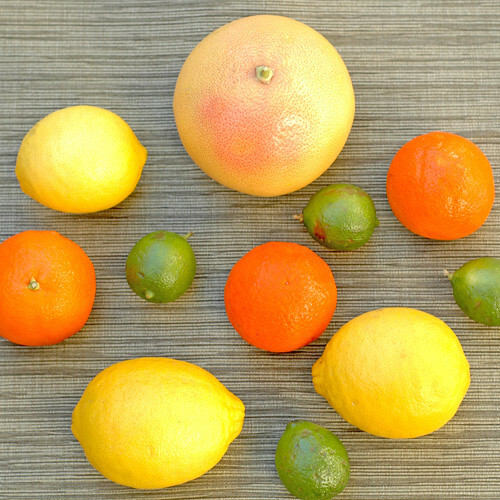 Citrus is so bright and colorful and can add so much flavor to so many things. The food possibilities are endless when it comes to the wonderful flavors of citrus. Last Friday the girls and I were at a local farmers market and it was filled with oranges and grapefruit ripe and ready to eat. The girls and I loved trying the samples of all the wonderful oranges and we brought home some sweet and juicy satsuma oranges to share with daddy. 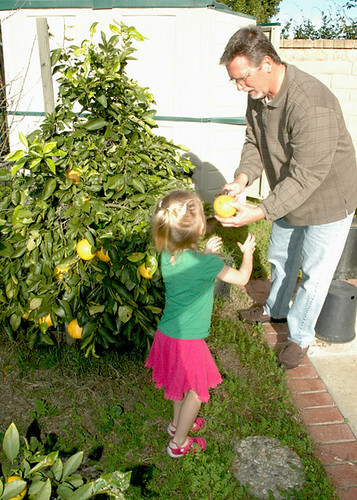 Later that same afternoon we acquired some fresh oranges and lemons from a very generous neighbor, her tree was over flowing and she let my daughter and some other neighbor kids pick some to take home. The kids had a blast picking the oranges and lemons and filling multiple bags. Immediately I was thinking of all the fantastic things I could make! 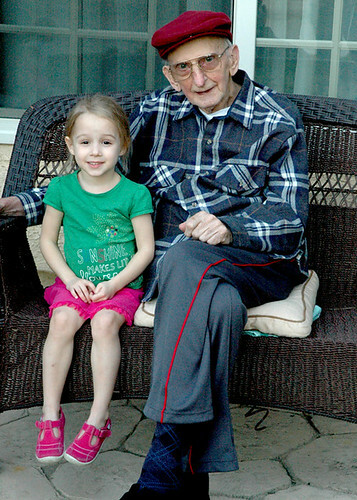 The following day we spent with family celebrating Great Grandpa’s 88th birthday! It was a wonderful celebration and so nice to see him and spend good quality time with him. Happy Birthday Great Grandpa!!! While we were at our Aunt and Uncle’s house celebrating, Katelyn saw some juicy ripe ruby red grapefruit on their trees and she wanted to pick them. So Uncle Bob was kind enough to help Katelyn harvest a few for us to take home with us. These will make a delicious breakfast treat! While we were all together for the birthday celebration, I happen to mention to my mother in law that I was in search of some key limes that I want to use in my own yummy birthday treat this week. So when she came over yesterday she suprised me with a bag of those tasty little key limes. I was so excited that she found them and brought me some! So with all this wonderful citrus on hand, I have no choice but to be on a citrus kick this week. I plan to make many different treats with a few different kinds of citrus and I will share them all with you very soon. It is gorgeous and warm here in Southern California so I plan to enjoy some time outside with my two sweet baby girls. Hope you all have a wonderful week! Those photos are beautiful! Happy Birthday Grandpa! If these aren’t the cutest pictures!!!! I’m so jealous that you have citrus trees just growing in your backyards! Oh to live in a temperate climate! I love citrus too.